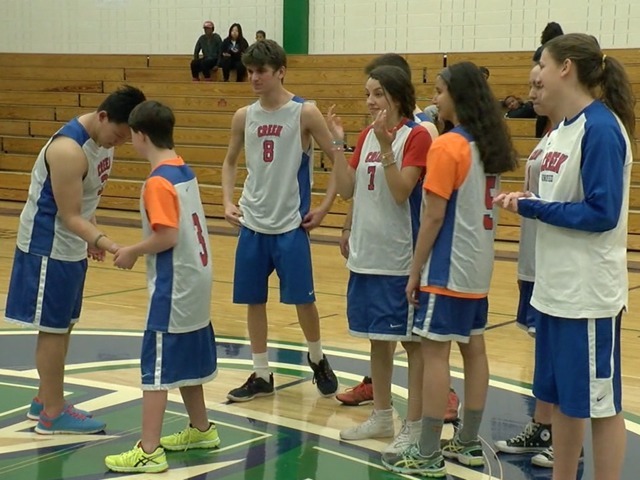 Denver7 reporters Hanna Atkinson and Connor Long recently hit the basketball court to meet some great Special Olympics Colorado Unified athletes and coaches, including Jesse Gendelman, 17, a basketball player for Cherry Creek High School. He helps his teammates on the court, but is also there to support them off the court. “It makes me so active, and I just get into the game,” said Jesse Gendelman. He said he feels like Kobe Bryant on the court and that it brings him confidence and pride. Jesse’s favorite prat about Unified Sports is the fact that athletes with and without intellectual disabilities can play together on the same team and friendships are made. “This team is full of friendships, when you have the friends, it’s part of you," Gendelman said. Jesse’s advice for aspiring athletes is to think positive thoughts and reach out to someone you love when you’re feeling down. You can watch more of Hanna and Connor’s stories on the Denver7 every Saturday morning.